We are engaged in manufacturing, exporting and supplying a wide assortment of Sofa. 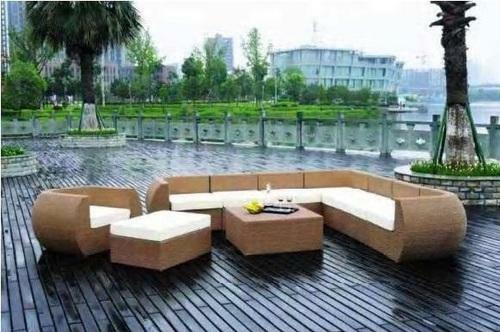 For the fabrication of these sofas, our professionals make use of high quality raw material and advanced technology. Our product range is extensively demanded all across the globe due to its high quality standards, innovative design, termite resistance and sophisticated look. Clients can avail the offered products from us at the most reasonable price range. Established in 2011 Comfort Creations, the most trusted Manufacturer, Supplier, Wholesaler and Retailer firm of best in class Cafe, Restaurant and Banquet Furniture has now become the dominant player in the industry. We are aspired to achieve our objectives of being the industry leaders by serving a wide assortment of modern day furniture including Banquet Chairs, Cafe Chairs, and Bar Furniture like Chair, Table, and Counter. We continually interpret to comprehend the anticipations of our distinguished clients and then turn those expectations into opportunities to design and develop trendy furniture that is sturdy, comfortable, and cost effective and will serve for years. We are focused every day in finding the innovative ideas to meet and exceed the expectations of our end users. We therefore follow a flexible approach to design the furniture that surpasses the competition. Owing to our established furniture designers and highly experience manufacturing experts we are able to act as the trusted business entity that will endow them with best quality furniture and the best price. Moreover, we are passionate about the furniture we develop, as it helps us to partner with esteemed vendors in the industry and to earn the trust of wide number of clients all across the country. Further, our commitment to provide superior end-user experience enabled us to enlarge our commercial footprint in such a short span of time.